TORONTO, August 27, 2013 – Avanti Computer Systems Limited, a leading provider of Print MIS and Web-to-Print solutions today announced the release of Avanti Slingshot, the company’s next generation Print MIS product. The new product, which can be cloud-based or hosted onsite, will be demonstrated at PRINT13 in Chicago. Avanti Slingshot has been in development for over three years and was built from the ground-up to handle multiple lines of business, including large format, digital print, conventional print, mailing and fulfillment workflows, as well as creative, marketing and data management services from one platform. “We are very excited to be launching a product that will help take our customer’s organizations to the next level,” says Patrick Bolan, President and CEO of Avanti. “Avanti Slingshot leverages advice from industry thought leaders, customers and a rich 29 year history in this specialized market,” adds Bolan. Avanti Slingshot is an entirely new product, designed for commercial print providers, enterprise/in-plants and franchise operations. Its modular and flexible architecture enables organizations to scale as they grow and add new services. It is browser-based, providing printers with the ability to securely access the system anytime/anywhere from any device, through an easy-to-use Graphical User Interface (GUI). Historically, one of the barriers to implementing Print MIS systems has been the amount of effort required to take a new system live. Avanti has invested heavily, as part of the development of Avanti Slingshot, to reduce the level of effort and amount of time required to get the system up and running. Each Avanti Slingshot system ships with a QuickStart Database, an Estimating Standards Library, and migration and import tools, dramatically streamlining the transition from an existing system. Arizona State University (ASU) was also a Beta customer. 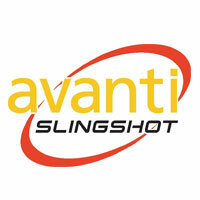 “Avanti Slingshot has been a great fit for ASU. I no longer need to be tied to my desk in order to manage effectively. I can create an estimate right in a customer’s office, or access my operation from any laptop or mobile device using just a browser,” says Cathy Skoglund, Manager of Operations and Business Development at ASU. “I find that Avanti Slingshot is so intuitive, anyone with a small amount of training, can create a job ticket in minutes and easily track the job’s progress throughout the shop,” adds Skoglund. Avanti Slingshot uses a robust Application Programming Interface (API), enabling the integration of third party applications and the connection of “islands of automation”. The new platform leverages industry standard protocols such as JDF/JMF and XML to communicate with key applications within the shop, such as web-to-print, production workflow tools, as well as post-press and production equipment. “Our goal is to continue to provide the most open Print MIS system in the industry,” says Bolan. As part of the lead up to PRINT13, Avanti Slingshot has been recognized with a MUST SEE ‘EMS award in the ‘Management Systems’ category. Avanti will be hosting live demonstrations at Avanti Booth 4242 at PRINT13, as well as “zero-touch” workflow demonstrations in HP’s and Ricoh’s booth. Please visit the exhibition floor at PRINT13 from September 8-12 for a personal tour and to find out why it was recognized for a 2013 MUST SEE ‘EMS award. In business for 29 years, Avanti provides innovative, award winning Print MIS and web-to-print solutions that help print shops and marketing communication organizations automate all facets of their business and cultivate a more meaningful relationship with their customer. Avanti’s solutions are the most open in the industry; JDF certified, fully integrated and extend from web-to-print through to production and billing. www.avantisystems.com.